Creating a "way in" to an intimidating subject by talking to fans rather than experts. 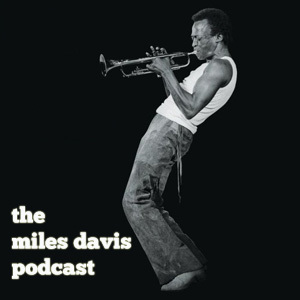 Create a podcast series exploring Miles’ career, focused around the albums he recorded for Columbia, and also delving into recordings for other labels. Create a worthy successor to the award-winning Traneumentary. Avoid “typical jazz” interviewees whenever possible. Keep the story accessible to non-jazz fans, as a “way in” to explore Miles and his music. To keep it accessible, we specifically excluded “jazz scholars” from the cast and focused instead on fellow musicians from across the spectrum of genres. It was not meant as an explicit ‘sequel’ to Joe’s 32-part Traneumentary (about John Coltrane) but we did intend for it to be a year-long heavily promoted and comprehensive look at Miles’ career and recordings. I’m not sure we were able to reach that lofty goal, but I do think there’s some great content in here. This series was a cross-promotional effort that we organized between Legacy Recordings, Concord Music Group, Verve Records & Rhino. Everyone chipped in resources to get it done. This was the last long-form podcast I did for Sony.